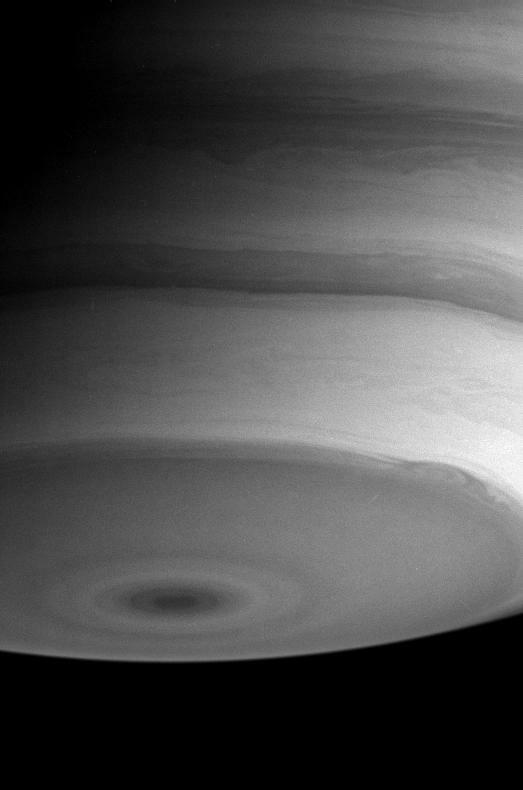 Saturn puts on a mesmerizing display in this image from August 7, 2004. Turbulent swirls and eddies are visible throughout the southern hemisphere. 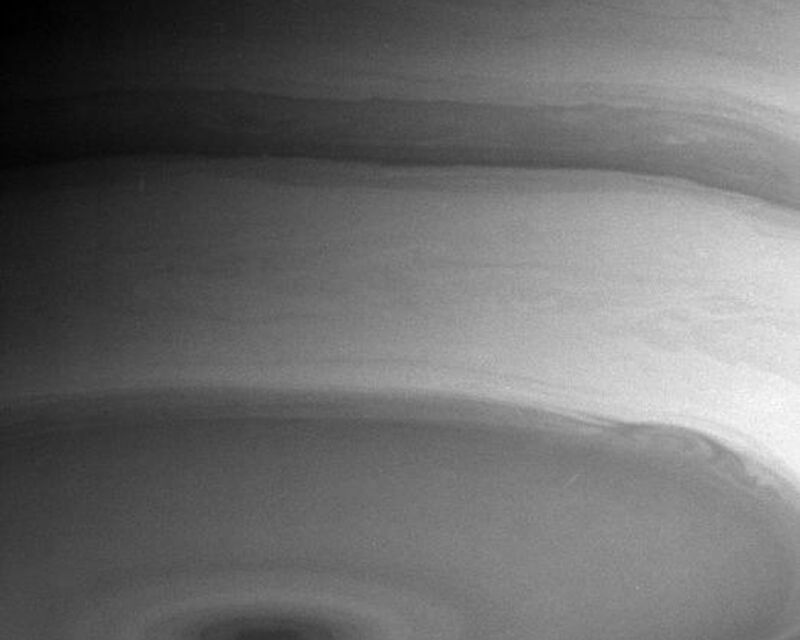 In particular, the boundary of the dark southern polar region displays a prominent oval-shaped storm near the lower right. 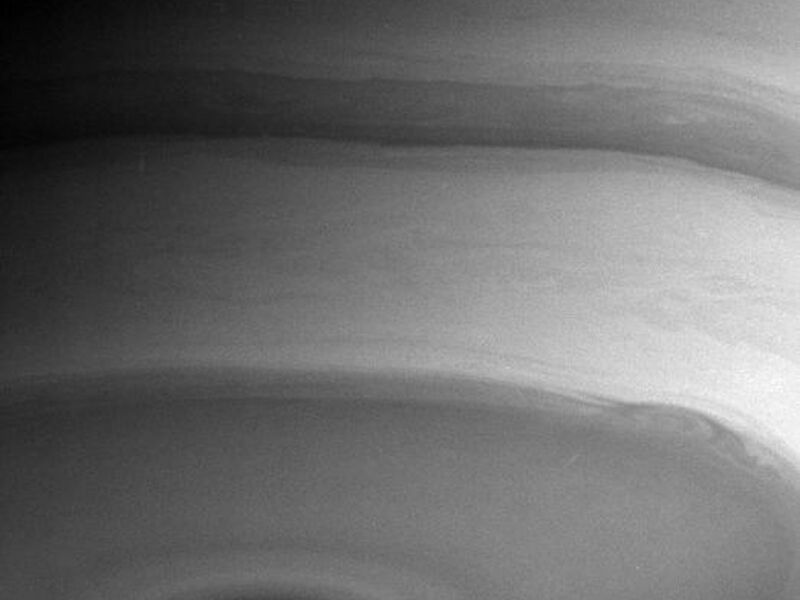 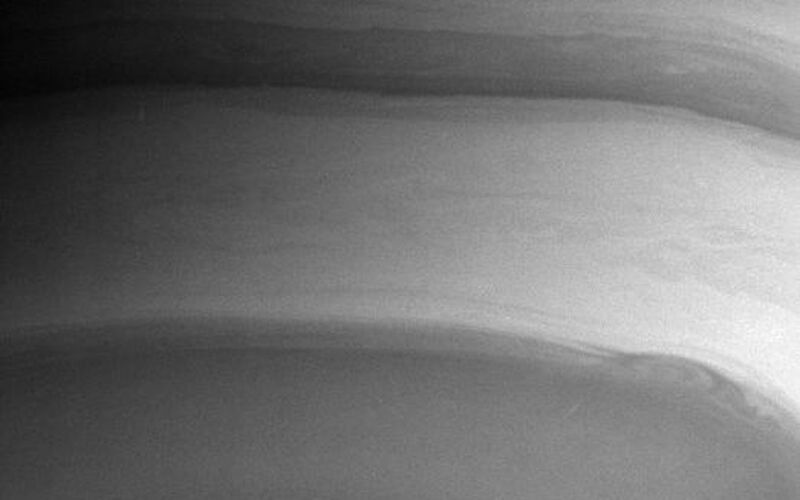 The image was taken with the Cassini spacecraft narrow angle camera at a distance of 8.4 million kilometers (5.2 million miles) from Saturn, through a filter sensitive to infrared light. The image scale is 50 kilometers (31 miles) per pixel.